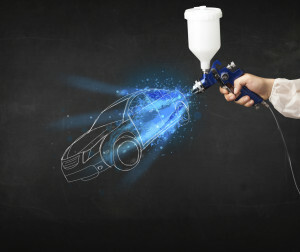 “50 Shades of Grey” shtick aside, a Friday Casey Williams column we found in the Indianapolis Star gives some advice about what hues you’re likely to be matching to the wrecks coming into your auto body shop. Axalta found white was the top color in North America, at 25 percent. Black came next at 19 percent, though adding grey and silver together reached 26 percent, Williams wrote. Red and blue trailed these. Williams also cited Swapalease.com data finding the most popular vehicle colors were black, at more than 31 percent; white, at 19.6 percent; silver, at 13.1 percent; and grays at 15.6 percent. Red and blue trailed these again, but Swapalease.com’s statistics found them much less popular than Axalta’s, according to Williams. He quoted a Swapalease.com vice president who said that red and blue did better the first half of last decade, but silvers and greys really started to take off about 2005. He also noted some future common-sense advice: Recessions lead to bleaker colors, boom times see more vibrant vehicles.